Alexandros Village is a newly built accommodation complex renovated in 2012 and in a position with very beautiful sea view, Alexandros apartments offer Cycladic hospitality, professional service and very clean environment. Our Apartments offer private parking and free transportation from and to the port or the airport. You can enjoy your breakfast in the Bar facilities or in the Jacuzzi in our garden. We often organize “Greek Nights“ with traditional cooking where you can participate. All the rooms are spacious, fresh and clean. They are equipped with all necessary comforts for the visitor making your holiday a relaxing one. 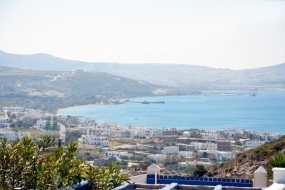 The complex is situated in high ground so has a view of sea and the harbor of Adamas. Also rooms are equipped with refrigerator, airconditioning, television, telephone, hairdryer and acomplimentary bathroom set. Cleaning is daily and we renew sheets every 3 days or sooner if necessary! Hygiene and the quality of services are our main goal. Tastefully decorated room with whitewashed walls and pale colours. It includes air conditioning, TV, fridge and a bathroom with free toiletries and a hairdryer. The fully refurbished suite features island dressing with gentle colors of air and sea. 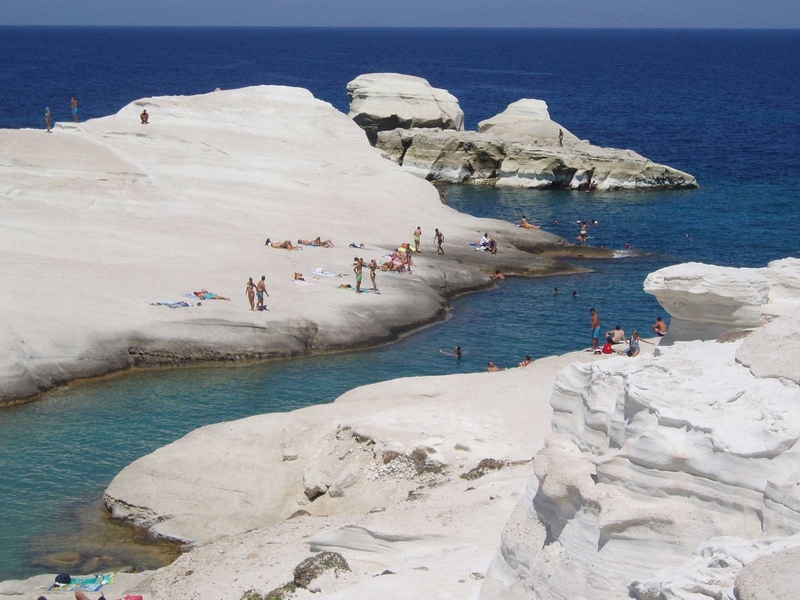 The beds preserve the traditional style of the old mansions of Milos with new and anatomical mattresses, since our hotel has recently been renovated.